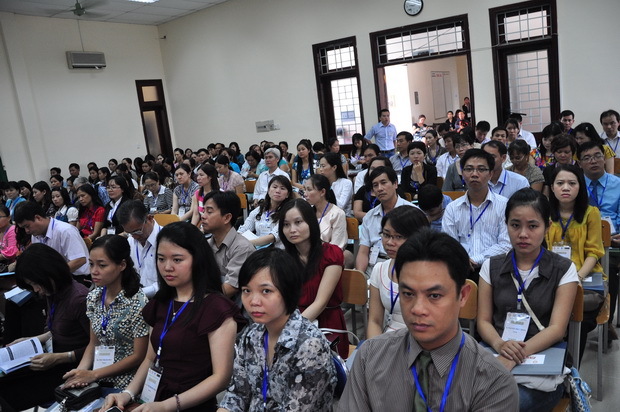 Jointly conducted by SEAMEO RETRAC, HCMC-TESOL Association, Curtin University, and Hue University College of Foreign Languages, the International Conference on “ENGLISH FOR ALL” held on September 15-17, 2011, provided TESOL professionals an opportunity to share their new research findings and ideas in English teaching. 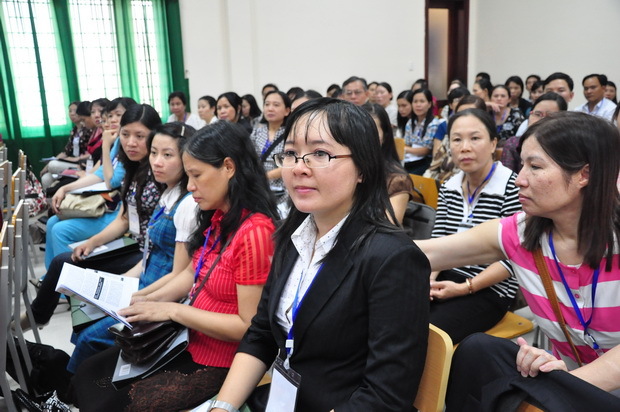 More than 200 delegates from Vietnam and other countries attended the conference. Among distinguished speakers were Assoc. Prof. Rhonda Oliver, School of Education, Curtin University, Australia; Ms. Linda Hanington, National Institute of Education, Nanyang Technological University, Singapore; Prof. Dr. Mary Ellen Butler-Pascoe, Systemwide Director of TESOL and International Language Education, Alliant International University, USA; Dr. Nguyen Ngoc Hung, Ministry of Education and Training; Assoc. Prof. Koji Uenishi, Prof. Bradley Grindstaff, and Prof. Charles McHugh from Japan; Assoc. Prof. Dr. Phairin Rugsakorn, Assoc. Prof Dr. Channarong Intaraprasert, and Dr. Kantatip Sinhaneti from Thailand; Ms. Helen Huntley, IIE Vietnam; Mr. Stuart Vinnie, Cambridge University Press, UK; and Ms. Ekaning Krisnawati, Adjadjaran University Bandung, Indonesia. 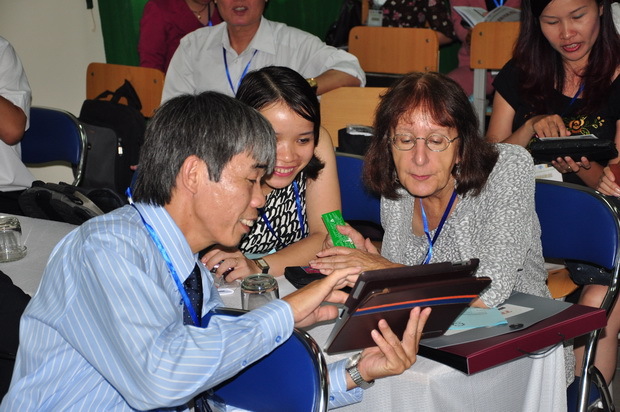 There were 9 workshops and 36 papers presented at the conference, focusing on latest studies, teaching strategies and techniques obtained from their classroom contexts. 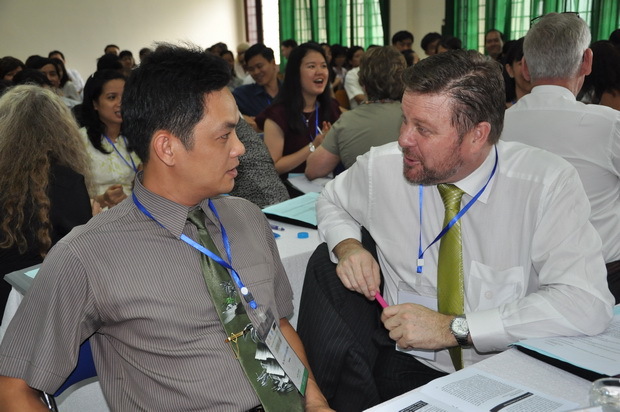 In addition, networking sessions were initiated for institutions and individuals to connect with one another in an attempt to develop a TESOL community and expand post-event linkages.